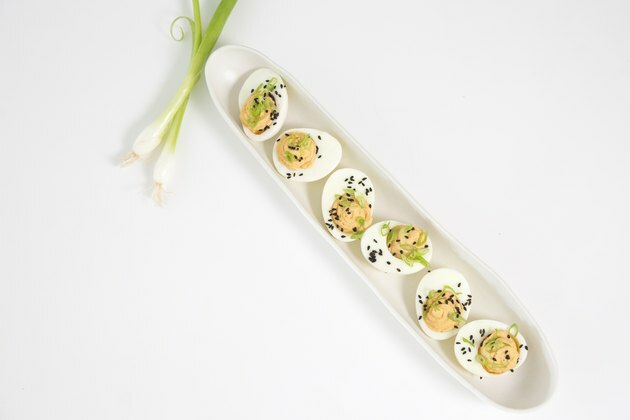 Your standard deviled eggs are given some serious edge with cholesterol-fighting black sesame seeds, gut-healthy Greek yogurt, anti-inflammatory mustard and probiotic-rich kimchi. Instead of using run-of-the-mill eggs for this recipe, use Eggland’s Best eggs, which have more than double the vitamin B-12 and omega-3s of ordinary eggs. Serve this unique, tasty and healthy appetizer at your next large gathering. 1. Place Eggland’s Best eggs in a pot and cover with water. Bring water and eggs to a boil on stove and boil for six minutes. 2. 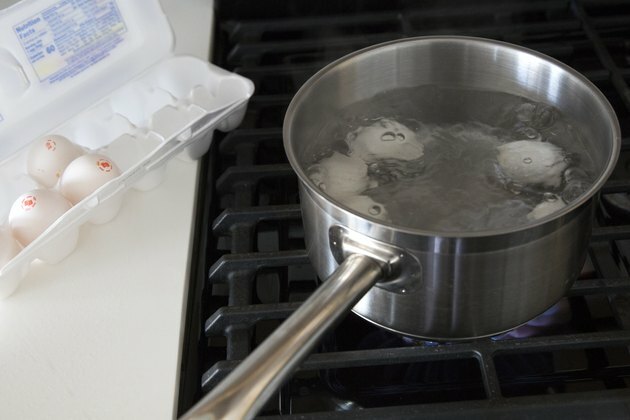 Remove from heat and place Eggland’s Best eggs in a bowl with ice water. Allow to sit for 15 minutes. 3. Roll cooled Eggland’s Best eggs across a hard surface, applying gentle pressure to crack the outer shell. Gently begin to peel off the shell. 4. Slice Eggland’s Best eggs in half, scooping out the yolk and placing it into a separate bowl. 5. 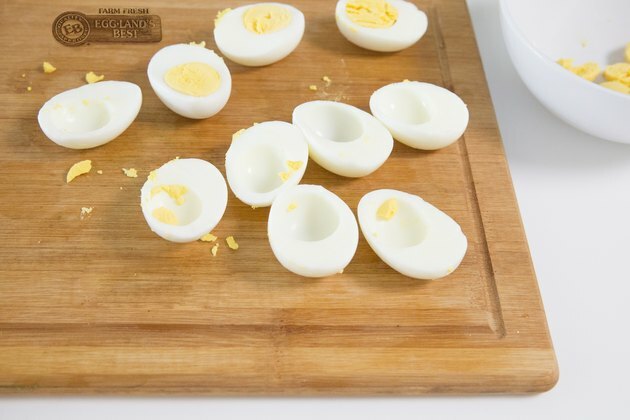 Arrange empty Eggland’s Best egg halves on a serving dish. 6. Add yolks, kimchi, yogurt, gochujang, mustard and vinegar into a food processor. Blend until smooth. 7. Scoop mixture into Eggland’s Best egg halves. Garnish with sesame seeds and green onion.